The new mega-school site for the SKH Holy Cross Primary School was completed in time to house the first graduation ceremony of the School on 18th June 2016. The new school premises features non-government-subsidised items, including an ecofriendly air conditioning system, a classroom multimedia system, a school hall public address system, lighting and stage equipment, and other basic furniture and fixtures. This is made possible by donations from friends, alumni and partners of the school. CPF made a donation for the School Hall, which was then named the Mok Wong Fung Yee Hall in memory of CPF’s founding member the late Mrs Rita Mok. The dedication ceremony and the grand opening of the new school premises were held on 17th December 2016. 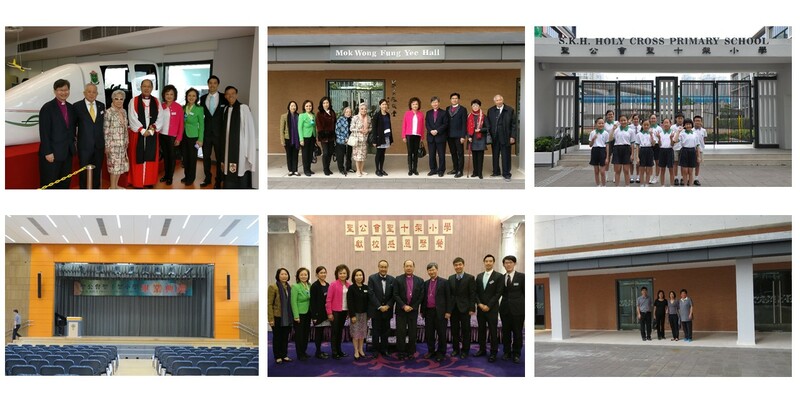 CPF representatives celebrated the occasion together with SKH clergies, school managers, principal, teachers, students, parents, and friends of the school. A tour around the school followed in which the students impressed the guests with various performances.